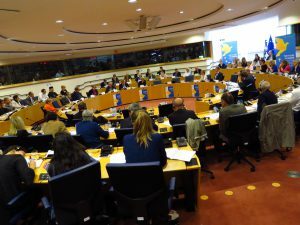 Dialogue seminar at the European Parliament. Photo: Erin Green/CEC. 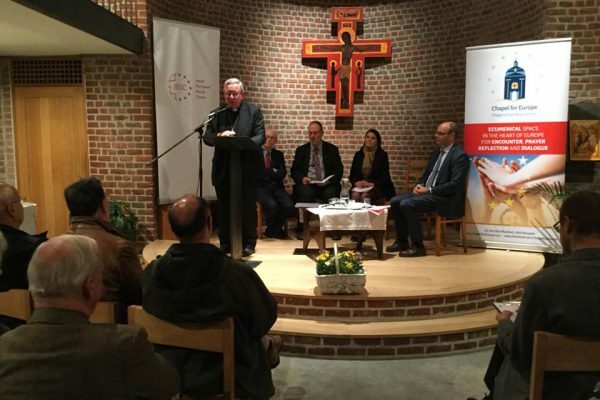 In cooperation with the Evangelical Church in Germany (EKD) Brussel’s office, the Conference of European Churches carries out monitoring and action on EU policy and legislation. The Thematic Reference Group for this area provides a forum for discussion and exchange of information on current legal and political matters emerging from the European Institutions. It deliberates on a range of topics including church-state law, fundamental rights, dialogue between the EU and churches, employment law, and other relevant matters. Dans la perspective des élections européennes qui se dérouleront du 23 au 26 mai 2019, la Conférence des Églises européennes (KEK) et la Commission des Églises auprès des migrants en Europe (CEME) ont conçu un outil intitulé L’Europe, NOTRE avenir – Action des Églises dans le cadre des élections européennes de 2019 pour encourager la mobilisation des Églises. 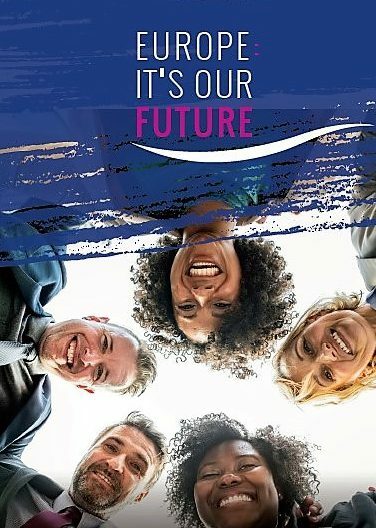 In the run up to the European Parliament elections CEC and the Churches’ Commission for Migrants in Europe have developed a tool "Europe: It’s OUR future"
Im Vorfeld der Wahl des Europäischen Parlaments, die vom 23. bis 26. Mai 2019 stattfinden wird, haben die Konferenz Europäischer Kirchen (KEK) und die Kommission der Kirchen für Migranten in Europa (CCME) eine Arbeitshilfemit dem Titel „Europa: Es ist UNSERE Zukunft – Kirchliches Handeln anlässlich der Wahl des Europäischen Parlaments“ entwickelt, um ein starkes Engagement der Kirchen in dem Prozess im Vorfeld der Wahl zu fördern. 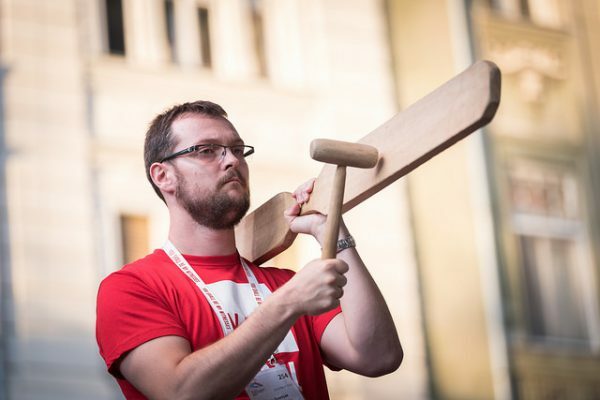 CEC President Rev. Christian Krieger speaks about the future of Europe in Brussels. 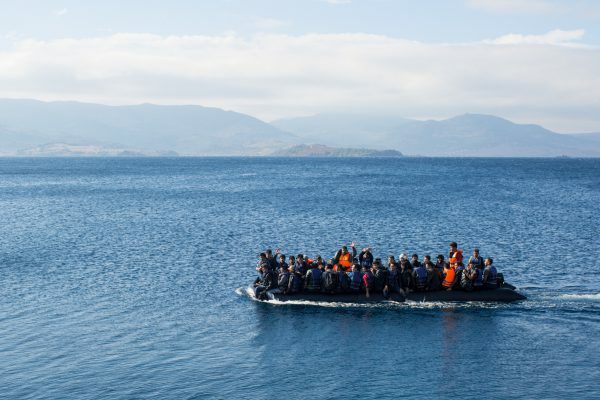 A meeting of 150 asylum experts from churches and civil society drew strong criticism of current European asylum policies and plans in this area. 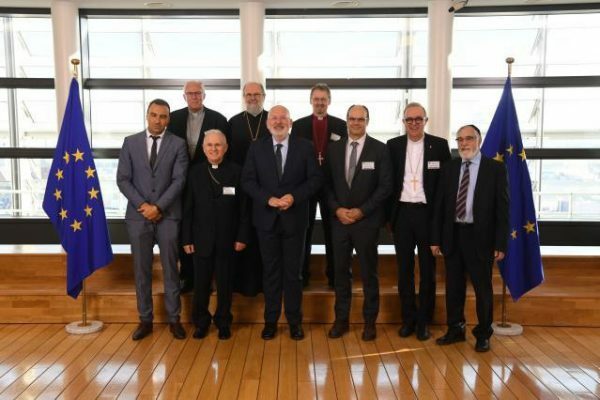 Representatives from some of the CEC Member Churches participated at the European Commission Annual High-Level Meeting with Religious Leaders. 23 июля 2018 года делегация представителей австрийских и европейских церквей встретилась в Вене с Каролине Эдтштадлер государственным секретарем по внутренним делам австрийского правительства. Eine Delegation österreichischer und europäischer Kirchenvertreter traf sich am 23. Juli 2018 mit der Staatssekretärin im Innenministerium der österreichischen Bundesregierung, Karoline Edtstadler.